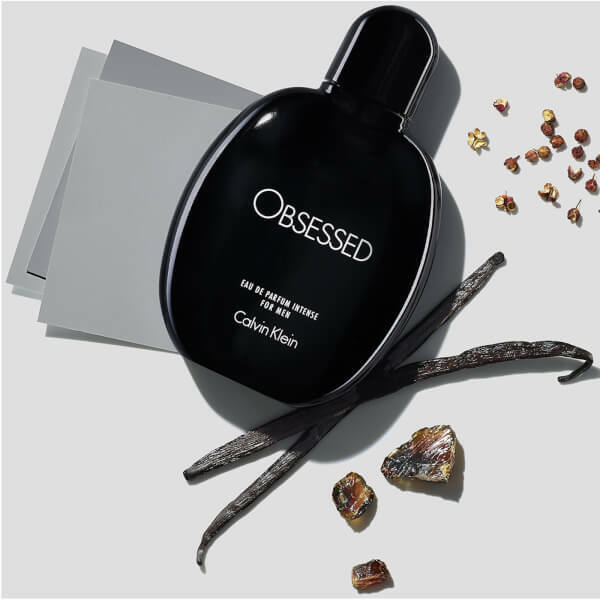 Calvin Klein Obsessed Intense for Men Eau de Parfum plays with the notion of memory and scent, replicating the sensual allure of skin-on-skin scent with subversive gendered notes. Opening with Grapefruit, Rhubarb and Sichuan Pepper accords, the captivating fragrance develops into Cashmeran and Cedar Leaf, before settling on rich, intense notes of Black Vanilla, Guaiac Wood and oriental hints of Amber. Housed in a curved black bottle and branded box. Top Notes: Oro Blanco Grapefruit, Rhubarb, Sichuan Pepper. Heart Notes: Cashmeran, Cedar Leaf, Cypriol. Base Notes: Black Amber, Gurjum Balsam, Guaiac Wood.